Are you searching for a single-family home in Austin? The process can seem overwhelming. There’s no shortage of residences out there, but finding one that fits your budget and suits your needs will require a lot of legwork. It’s not uncommon for the process to take many months. And even when you do find a single-family home that seems like a good match, you still have to keep your fingers crossed, hoping there are no structural issues that will require costly repairs down the road. Why put yourself through all that? 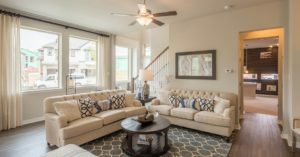 At Chesmar Homes, we are the premier builder of new homes that are energy efficient, thoughtfully designed, and of course absolutely gorgeous. You’ll be able to choose from a variety of models and floor plans. In fact, we offer so many breathtaking home styles you may find it difficult to pick your favorite! Planning – One of our design specialists will review all of the options available for your new home and can help you choose your flooring, countertops, appliances, cabinetry, and more. Loan application – We’ve partnered with CLM Mortgage, LLC to streamline the mortgage application process. You’ll be able to start the paperwork in our office for added convenience. Construction – Throughout the build, your construction manager will provide regular updates on the progress of your single-family home. And, you’re always welcome to visit the construction site. Closing – Once construction is complete and your financing finalized, one of our representatives will be at your side during the closing to shake your hand and give you the keys to your brand-new home. Whether you’re a first-time homebuyer or are ready to make an upgrade, the builder to turn to for a new single-family home of distinction is Chesmar. Contact us today and take your first step toward a better tomorrow. Click here to check out a community-by-community listing of the home models available in the Austin area.